Samsung heat pumps installed, maintained and repaired in Essex - London. Samsung are at the heart of the development and innovation of the heat pump market and offer a wide range of products to suit all types of building layout and design. 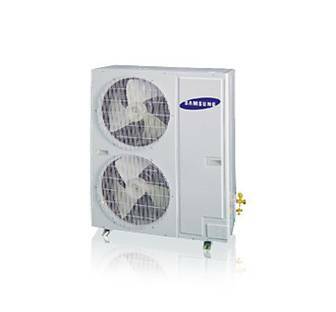 Delta T services are specialist Samsung heat pump installers and can supply and install the entire range of Samsung heat pumps. Maintain your temperature with a clean and efficient air provider. The Samsung 15.5kW Mini DVM Smart Heat Pump helps you save space thanks to its slim and compact design, which also allows easy installation. You can also control the PCB, compressor and EEV via the Mini DVM’s front panel for simpler maintenance. Its Digital Scroll Compressor delivers high reliability too, giving you peace of mind. And, with its high energy-efficiency, you can reduce operating costs as well as hassle. The Mini DVM makes it possible to control the compressor, PCB, and EEV with the front panel, meaning that maintenance is effortless and simple. the outdoor units also display error codes via LED’s, enabling you to react promptly if problems occur. 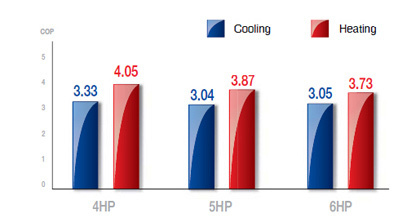 Our digital scroll compressor offers a very high cooling and heating COP. We are approved Samsung Heat pump installers as well as being experts at maintaining and repairing the full Samsung range including the ground breaking Samsung Heat pump EHS range and all of its components. EHS Mono uses outdoor unit that includes the hydronic parts. Therefore it does not require space or installation process for hydro units and the refrigerant pipes. This means that the system can be installed quickly and easily and without the need for refrigerant pipes. EHS Split is the newest development added to the line-up to meet the up -to-date demands. This air-to-water heating system is designed and built especially for optimized heating. Because the heat pump is split into two parts it means you can place the outdoor unit out of sight up 70 metres away from the indoor 'boiler' unit. EHS TDM support both air-to-air and air-to-water heating (and cooling) to be the ultimate indoor climate solution for every season. Simpler units, installation and usage for maximum convenience. All our engineers are fully qualified F-Gas compliantand are experts at Commercial Air Conditioning, Domestic Air Conditioning, Industrial Air Conditioning, and are specialists Samsung Heat pump installers. Samsung heat pumps installed, maintained and repaired in Essex and London.